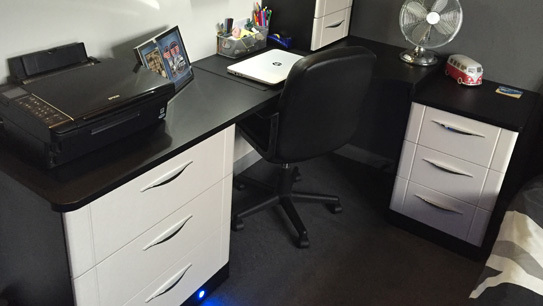 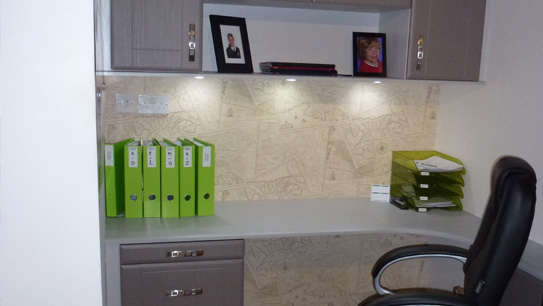 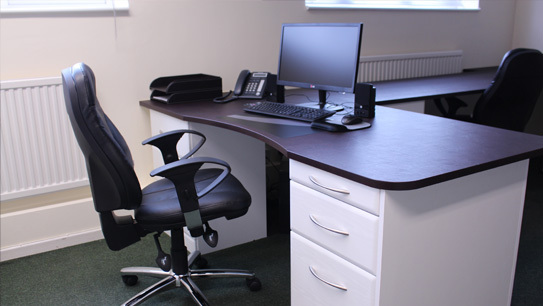 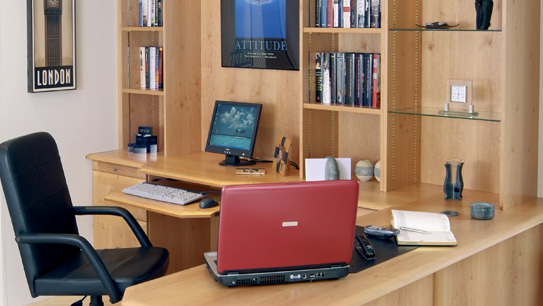 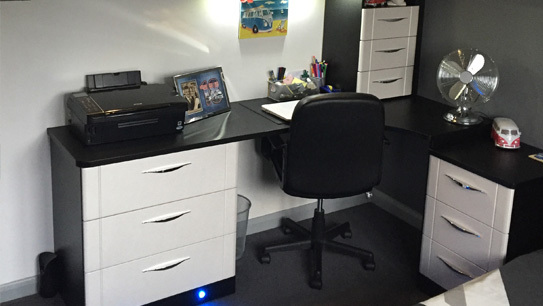 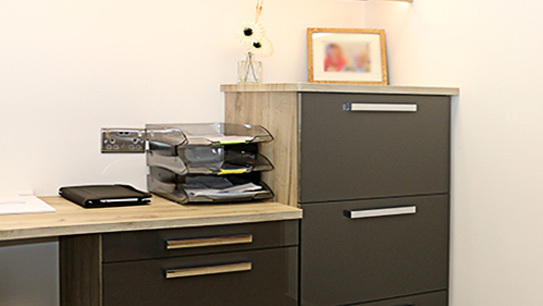 Home office spaces always require perfect planning and that’s why our units are made to measure just for you. 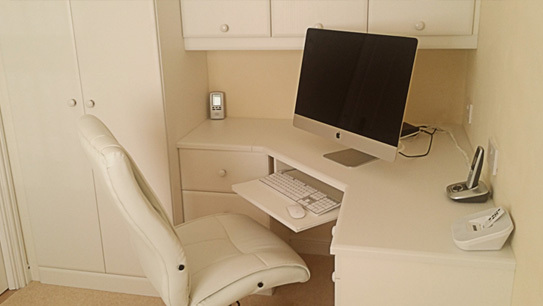 The space available is often precious and if you work from home then it’s all the more important to create the perfect environment. 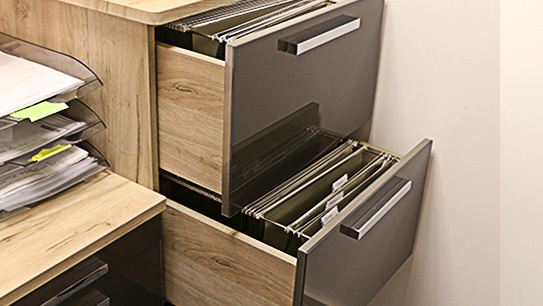 So if you need cupboards, drawers, filing cabinets, desks or bookcases in dozens of style and colour combinations made to your size (not the sizes that many large companies insist you have) then we are your one stop shop. 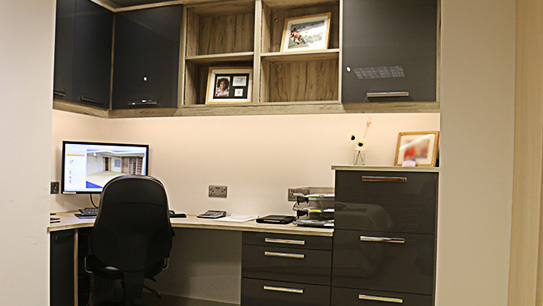 Our bespoke CAD design service with our unique product will help create your perfect work space.